Given that writing anything takes me forever these days, I figured I’ll go over most of it in a video. 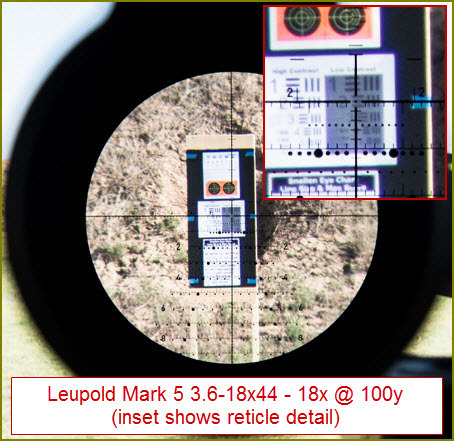 The Mark 5 HD is an interesting design in that it really brings into question whether it was intended to replace the Mark 6 3-18×44 or whether Leupold is planning to carry on with both scopes. As I say in the video further down, in terms of optomechanical performance, I definitely prefer the newer Mark 5HD. Mark 6 is a couple of ounces lighter and offers wider FOV. Outside of that, I do not see why you would be going with the Mark 6 over Mark 5. 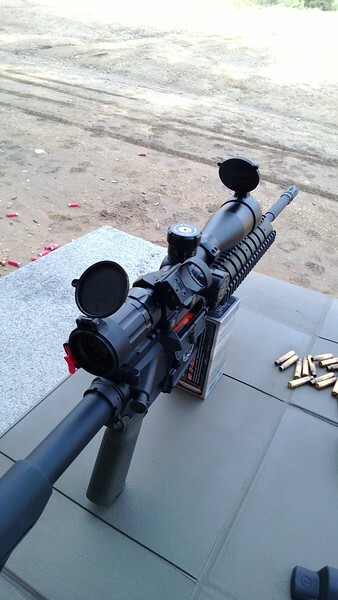 Most of the testing of the Mark 5 HD was done on my AR-15 chambered for 6.5Grendel. The gun is accurate and this scope is really at its best on precision gas guns. 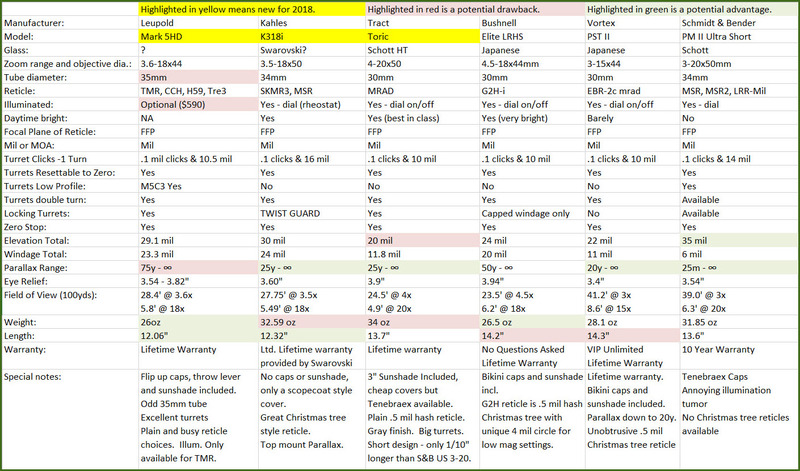 Here is my customary comparison table. 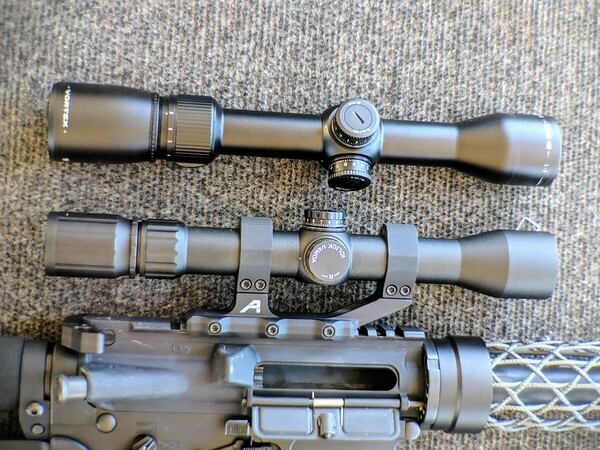 There are quite a few other short scopes that I have not added to the table, largely because most of those are either a lot more expensive (Kahles K318i) or have substantially different magnification range (EOTech Vudu 5-25×50). Tangent Theta TT315M is in there because I have it on hand and it is my reference standard for scopes in this magnification range. The comparison table does not reveal anything revolutionary. Compared to the field, the two Leupold scopes are short and light (ish). Sig Tango6 is also short, but needs to go on a diet. That having been said, Tango6 has a built in electronic level that is very well executed, in my opinion. I am wrapping up with the test of a 4-24×50 Tango6 and I really like the level. Another thing to pay attention to is how much difference there is between FOV at 3x and 3.6x (or 4x). Magnification is multiplicative, so keep in mind that 3.6x is 20% more magnification and 3x and, all other things being equal, 20% less FOV. Lastly, notice that I added the Vortex PST Gen 2 3-15×44 into the table. It is a lot cheaper and a bit bigger than other scopes here. However, its optical performance is dangerously close to most $2k scopes out there. It has a good reticle, decent turrets and well sorted out illumination. And it focuses close enough to use on airguns and rimfire trainers. How it does in terms of durability remains to be seen, but I have been keeping track since I started recommending it to people and it seems to be doing well. Just some food for thought. I did not talk much about low light performance. Honestly, there isn’t much to tell. It performed very nicely and did not exhibit any weird flare or other strange artefacts. H59 reticle is not great in low light, but then again, to me it is not great in good light either, so there is that. 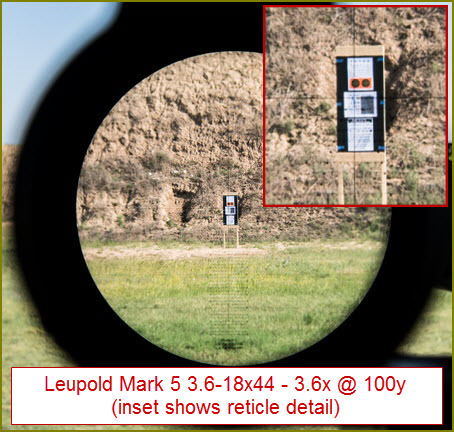 Fundamentally, if the reticle selection was a bit more up my alley, I would have the Mark 5HD on my 6.5 Grendel permanently. I know David Tubb is going to have his DTR reticle in the Mark 5. That would be interesting, so perhaps I will pick one up. I am fibbing a little. This is not my first look at this scope, since I spent a couple of days with a prototype. However, this the first time I see the production reticle. I mounted the scope on my light-ish AR chambered for 5.56×45. This gun has very light stock and handguard, but the barrel is not a pencil weight and the receivers and BCG are of standard weight. With the new 2.5-10×32 SS Ultralight in a light Aerotech mount, the whole rifle, with the sling, weighs in at around 7.6lbs. The fact that the scope itself weighs in at less than 10 ounces is kinda cool. I will spend more time working out the turrets, but my initial impressions are that the tracking is accurate and the feel is surprisingly good for something with covered turrets. One of the things I check first is if the turrets match the reticle and that is what I did with this scope briefly after sight in. 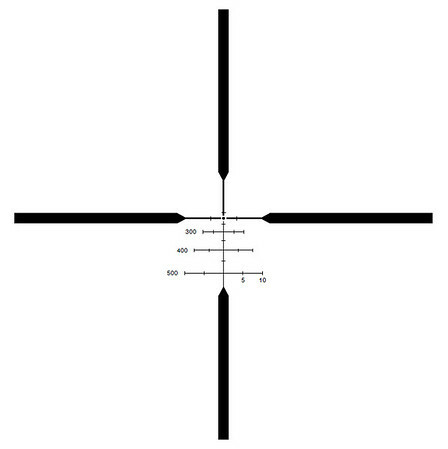 The reticle is a basic plex design with 12MOA opening between the thick lines. I did a quick test of 6MOA adjustment and 12 MOA adjustment with the elevation turret and so far so good. 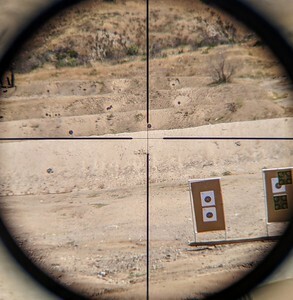 The reticle is roughly the same thickness as other standard plex reticles out there. Thick line is 0.8MOA and thin line is 0.2MOA at 10x. That is very close to similar reticles from Leupold, Sightron, etc. I’ll take better reticle pictures when I have the scope on a tripod. These are sorta handheld with a cellphone, so the quality is not great. However, this give you an idea of line thicknesses. I’ll run some basic ballistics and see how the BDC works with common AR cartridges. I checked how it does with 223 and it should be spot on with typical 55-60 grain bullets. I will tabulate what I come up with for other AR cartridges. One thing I really like about this design is that the holdover lines are thinner than the primary aiming point. That is a very good compromise between holdover tree and low light visibility. The primary aiming dot is 0.4MOA, the lines to its side and above are 0.3MOA thick and the lines in the holdover tree are 0.2MOA thick. Thick bars are 1.6MOA thick which should make for excellent low light visibility. It looks like a clever enough design and I will spend some time working up how it fits different calibers. The turrets are capped and resettable with 0.25MOA clickls. Sighting in was very uneventful, which is always a good sign. Of the scopes in this table, I have the ultralight SS and Razor HD LH on hand, although the most direct competition is Sightron S-Tac and Leupold VX-3i. The new SS is definitely the lightest of the bunch. Side by side with the Razor HD LH, the Vortex is a better scope optically (as it should be given the price difference), but SSUL is no slouch and resolves well. There is less color pop with it though. The only other 32mm scope I currently have on hand is an older Bushnell Elite 6500 1.25-8×32. 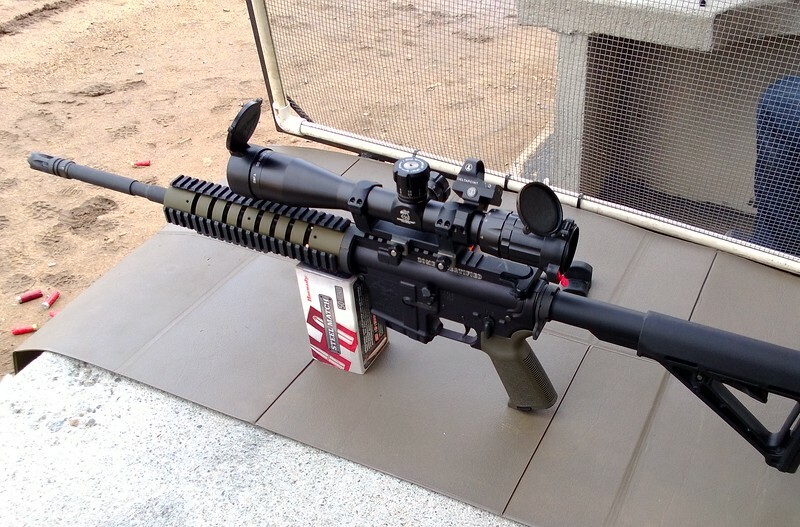 The SSUL seems similar to that scope in terms of optics. I’ll do some more testing and see how it all works out. From a usability standpoint, there is no tunneling of any sort and the scope is easy to get behind, so offhand shooting at 2.5x works quite nicely for me. Note the difference in eyepiece diameters. Another thing to note is that with the SS, I can use two separate rings instead of a single piece mount. 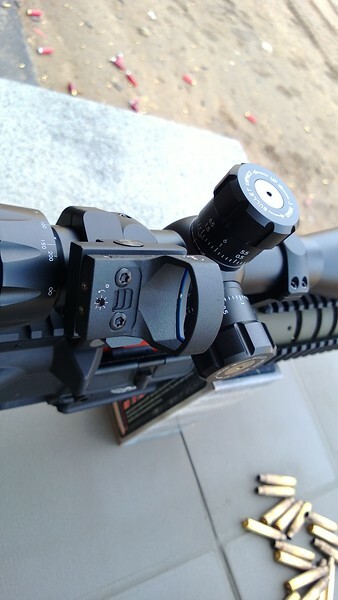 With Razor HD LH on an AR, I have to use a single piece mount since it has to be positioned fairly far forward. While in principle it shouldn’t matter much whether you use a since piece mount or two rings, there are a couple of advantages (and disadvantages) to using separate rings. The disadvantage is that the picatinny rail better be machined well. The advantage is that with two separate rings, I can use the scope as a carry handle which is quite convenient. It also frees up a lot of rail space if I want to add a red dot sight at 45 degrees (which I might) or any other accessories. So far, I like the little scope. Obviously, it being a new design, durability is not yet known, so I will keep track of how these do and beat this one up a little. Answering a question. Sort of. A few days ago I received a very polite e-mail asking for scope advice. If memory serves me right, the gentleman who sent me the e-mail, was debating whether to keep his Razor HD LH 1.5-8×32 that he got a screaming deal on or to pick up a similarly priced 1-6x scope of some sort. The platform is a lightweight AR-15 chambered for 6.5 Grendel. I think. The catch is that I very briefly skimmed through the e-mail, but since I was about to get onto the plane I filed it off as “this deserves a detailed response, so I should do it when I have a few minutes”. Well, I finally got a few minutes and I can’t find that e-mail to read through it carefully and answer it appropriately. I must have accidentally deleted it. To the gentleman who contacted me: I will answer based on my rather vague recollection. If that does not cover it, please send me a note with more details. 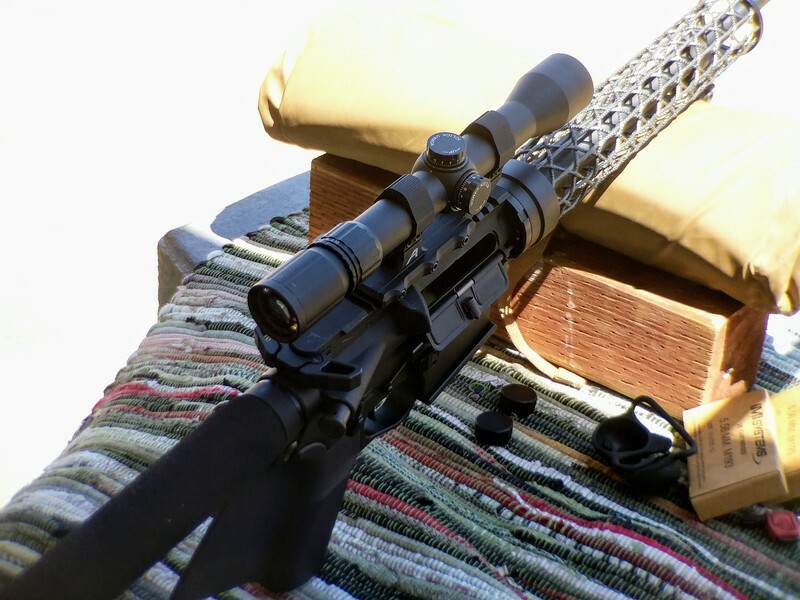 For a hunting AR, I can think of few scopes better than the Razor HD LH 1.5-8×32. You want to use the rifle for self-defense/tactical classes where there is a need to use it like you would use a red dot sight. You are going to take the rifle hunting where you are shooting driven game or it is a big caliber boomer you use on DGR. You want your setup to look cool. 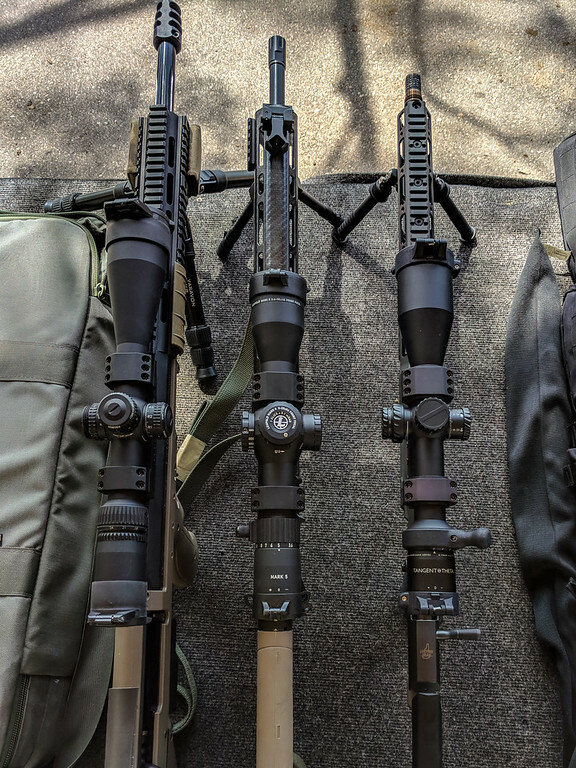 Outside of these three, it is often difficult for me to justify the compromises involved in having true 1x on the low end of the magnification range. 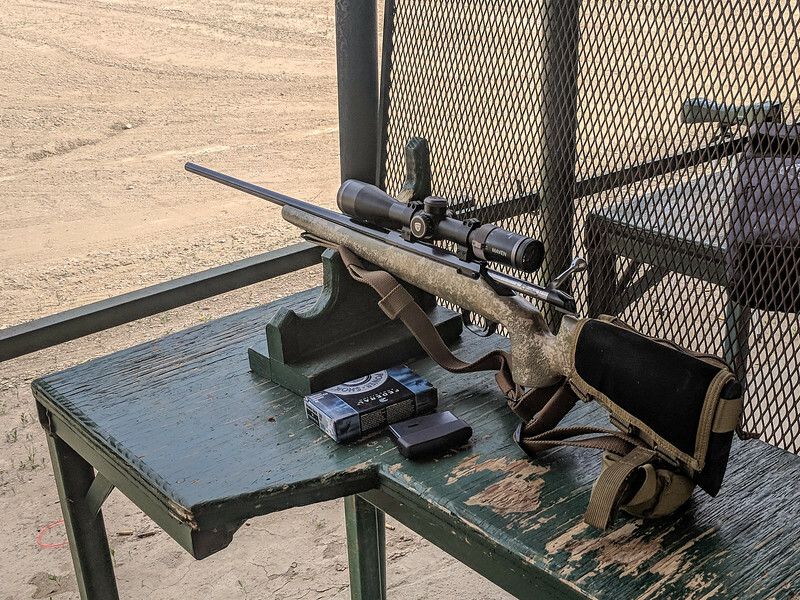 Now, for a rifle used as a plinker, the compromises are comparatively minor, since you will do most of your shooting during the day and you are mostly just having fun. However, for a hunting rifle, you want to think carefully before you put a 1-6×24 scope on there. Now, in the interest of full disclosure, please keep in mind that I happen to have Razor HD LH 1.5-8×32 as sort of a permanent scope on my hunting AR chambered for 458 SOCOM. However, since I also use this rifle to test scopes, it has had a few 1-6x and 1-8x variables on it (I am on the last leg of testing HiLux CMR8 1-8×26 on it right now). There are a few reasons why you should think carefully before you put a 1-6×24 or something similar on your hunting rifle. Unless you are planning to spend a fair amount of money, most of these scopes are not all that good in low light at 6x. That is partly because of the smallish 20-26 mm objective (and corresponding small exit pupil) and partly because most of these are really optimized for low magnification. Higher end models are, naturally, quite good at all magnifications, but they are pricy and exit pupil restrictions still hold. The amount of light that gets to your eye at high magnifications where eye pupil size is not the limiting factor is proportional to the diameter of the objective. At 6x in low light, a 32mm scope delivers ~78% more light than a 24mm one. Another problem is with the reticles. 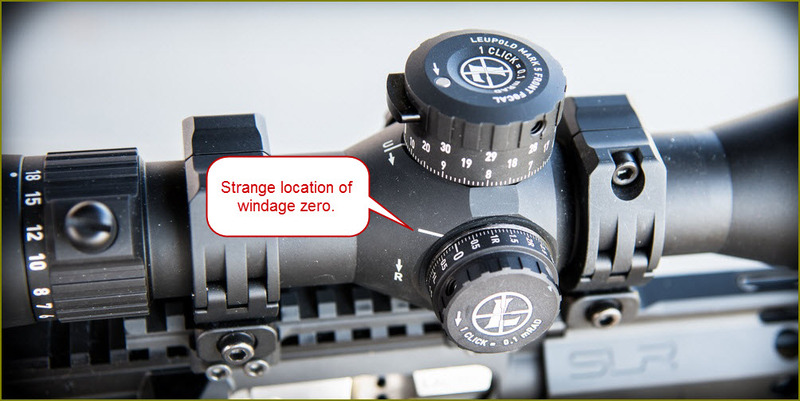 Most low range variables scopes out there today are really not designed for hunting and the reticles reflect that. Razor HD LH, on the other hand, was designed for hunting and the G4-BDC reticle is configured with that application in mind. I spend a lot of time messing with scopes that qualify as LPV: Low Power Variable. This term really came about when decent quality 1-4x scopes finally came down in price to the point where mere mortals can buy them. Now, the market is absolutely flooded with LPVs of all sorts made on every continent except for Africa and Antarctica. As is usually the case, the lowest priced ones are not very good and even some comparatively expensive ones are not great. The first really excellent one was probably S&B Short Dot 1.1-4×20 which came about some time in mid-to-late 90s when Hans Bender was still the CEO of S&B and found the project interesting. 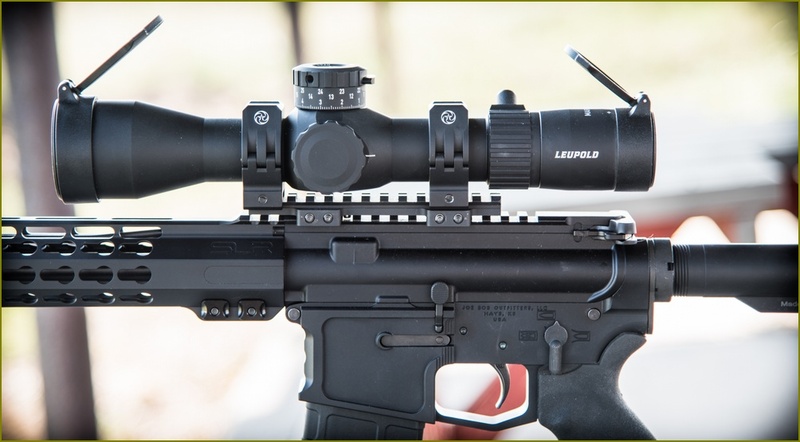 The basic idea was to make a scope that effectively worked like a red dot sight on low power and could be dialed up if the situation required a precision shot at a distance where a standard issue Aimpoint wasn’t quite sufficient. 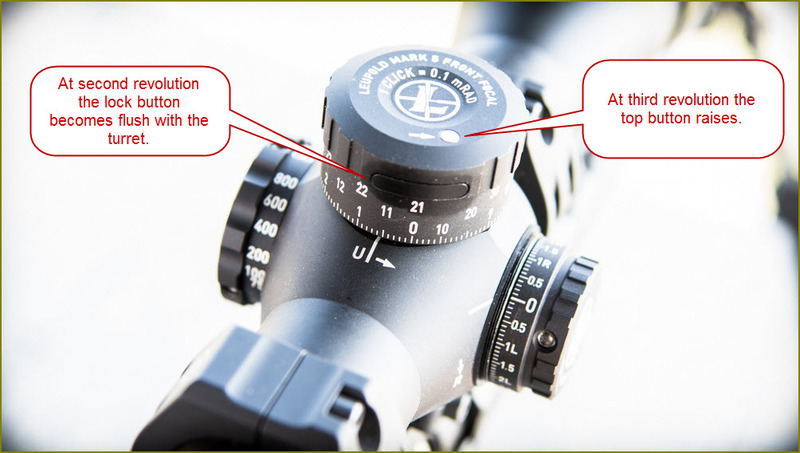 That meant that at low power you needed a very visible reticle (either very bold etched design or very bright illumination or both) and a magnification of 1x or close. There are other considerations, but fundamentally if you have a flat and relatively distortion free FOV with a very visible aiming point, you can run the scope on 1x just about as fast as you can run an Aimpoint or a similar red dot sight. As far as red dot sights go, my favorite is Shield SIS, which I prefer to the Aimpoint and Trijicon, so I spend a fair amount of time practicing with it. As I am about to publish another article on LPVs (this time on 1-8x designs that are sorta state of the art at the moment), I got a chance to compare how they do on 1x compared to Shield SIS. When done right, they do really well. 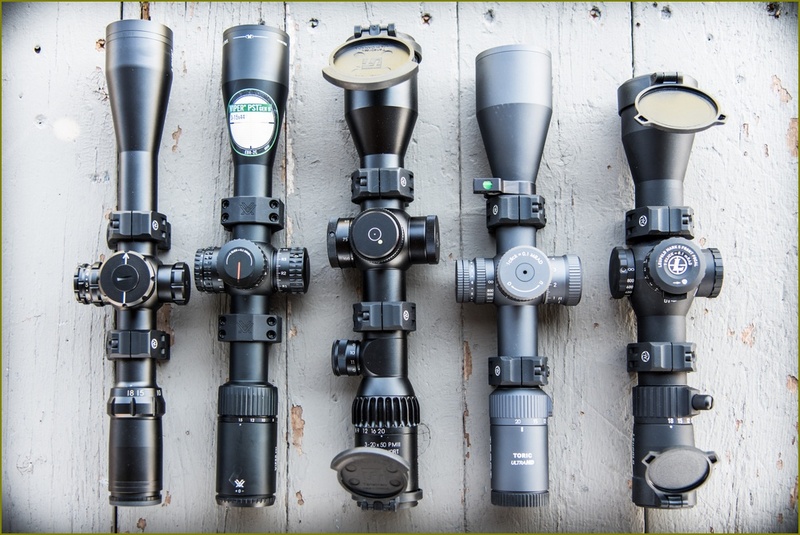 While the industry has really gone toward very high erector ratio scopes, with 1-8x being the current preferred configuration, it is always important to remember that the reason these scope exist is their performance at 1x. Everything else is secondary. When designing a very high erector ratio scope, exit pupil and performance at 1x are often compromised. Alternatively, I have also seen designs where in order to keep 1x performance viable, high magnification performance is compromised. Now, as LPVs evolve they get better across the board, but some compromises will always remain. 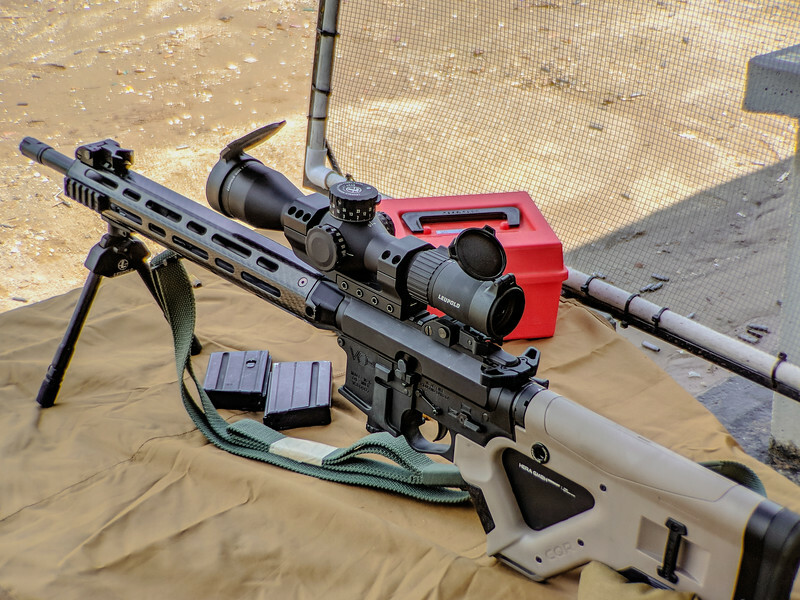 For example, consider that an award for the SDMR scope just went to Sig Tango6 1-6×24 FFP scope, despite the fact that there is a slew of 1-8x scopes available. I am not privy to how that decision was made, but if I were a betting man, I would bet that they went with a 1-6x scope because of price and performance on 1x. The specific Sig scope that won the award is very similar to the current production scope and I am sure the production models will incorporate its features soon enough. 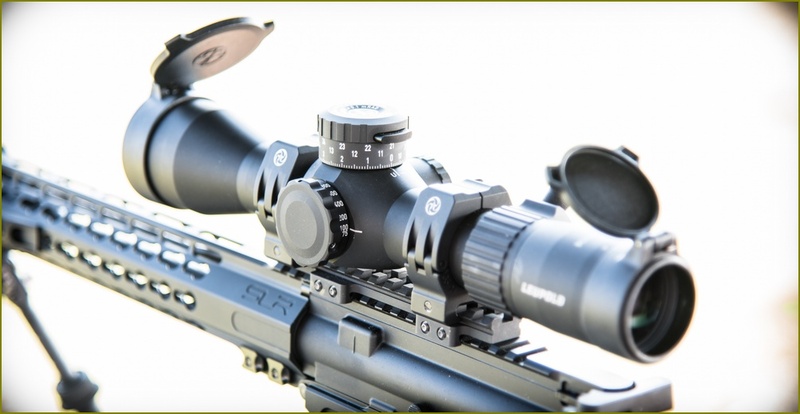 The SDMR scope has different outside finish, BDC-type reticle and brighter illumination. It will also be assembled in the US. I have a fair amount of experience with Tango6 scopes and like them. Naturally, I also like that they seem to be running discounts on them every once in a while. Here is a link to the configuration I like at the moment. This is probably similar to the scope selected for the SDMR program. 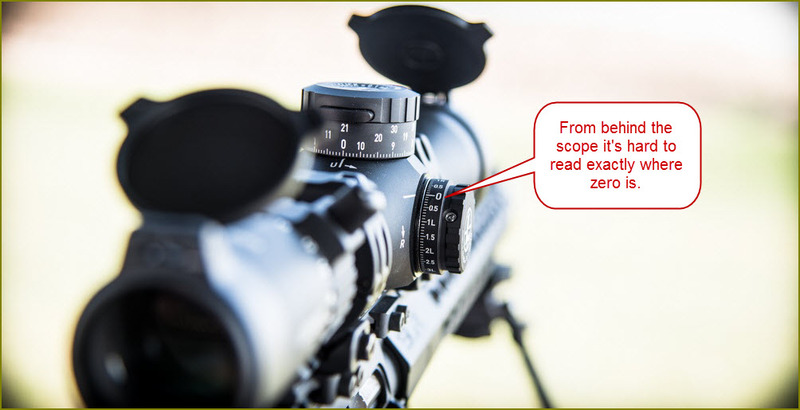 I am going to stay away from a discussion of FFP vs SFP reticles since I covered it here, but every time I hear someone talk about reticle in LPV scopes someone comes up with: “Well, I only use it at 1x and 6x”, or whatever the top power is. I do not necessarily agree with that approach because with the smallish 24mm objective lens diameter, there is a good reason to dial the magnification down to 4x or so for low light use. That is really the reason I lean toward FFP designs for 1-6x and higher erector ration scopes. However, if I could get a large enough exit pupil on 6x, I would absolutely agree that all you need is 1x and 6x, assuming that you can switch between them quickly enough. Now, we are getting to the real reason I am writing this. Most of us do not spend a lot of time clearing buildings and running high speed drills. However, with the state of the art AR-15 these days being both light and accurate, I see more and more people really push the distances at which these guns are shot. Once distance shooting becomes more important a decent LPV is a viable option, but not an optimal one. Enter the 1x/6x or 1x/10x concept. I have been talking on and off about what I call a poor man’s 1x/10x setup that I have been using on my 308Win AR for years, which is nothing more than a SWFA SSHD 10×42 scope with TPS’ CORA ring that supports a miniature red dot sight at a 45 degree angle. In this picture, I have a Docter Quicksight on it, but that was mostly an experiment in how a very short sight window will work. Quicksight is really designed for shotguns and for a carbine application, I would lean toward something like Shield RMS or Meopta Meosight or something similar. 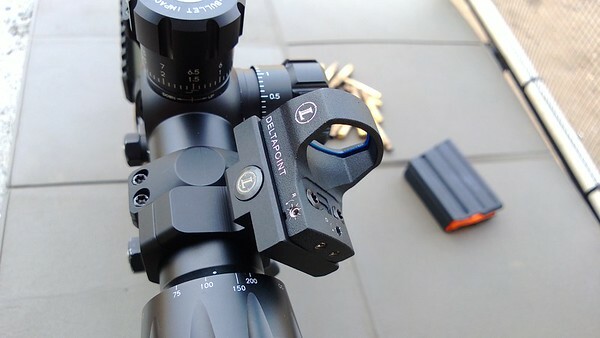 In the past, I have tried this same setup with the same scope with other red dot sights, like Leupodl Deltapoint and others. Interestingly, this whole setup weighs about as much as a good 1-6x or 1-8x scope, although it is bulkier. It looks a little out of place on a 16″ carbine, but works surprisingly well. It does offer me a vastly superior level of high magnification performance. There is also some redundancy in that if the primary scope breaks, I still have the red dot that is brought into action by rotating the rifle just a little bit. No need to re-adjust my hold on the rifle to make adjustments. Now, 10x is a bit more than I would want in a general purpose scope, but that is what I had on hand and it works fine. If I were going for more of an ultimate compromise, I’d be looking at a high quality 6x scope and the one that Cameraland has an exclusive one is probably the best one ever made. 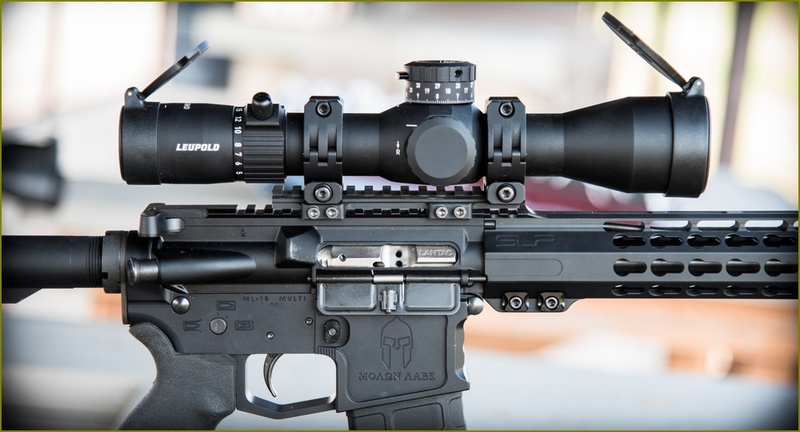 Doug from Cameraland has somehow convinced S&B to make a run of PM II 6×42 scopes for him. There are not cheap, but if you want the best 6x scope in the world, this is pretty much it. Add a compact red dot sight to it in a 45 degree mount and you have the capability of low range variable, except with 6x performance that absolute smokes every LPV ever made. 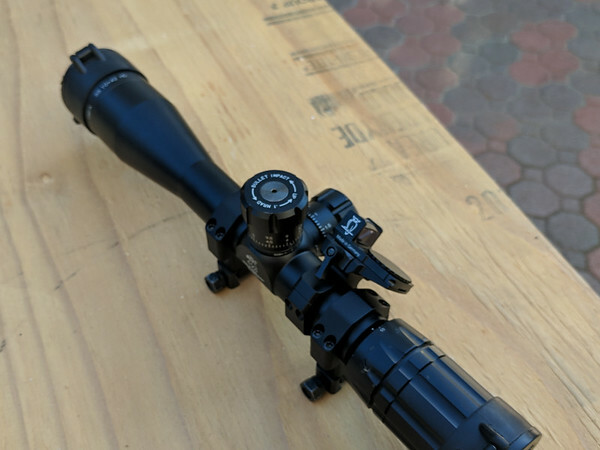 A little while back I swore that I am done looking at MOA-based riflescopes and that generally I will hold off taking on any unplanned reviews for a few months until I finish off the write-ups for everything I have on hand already. Well, I lied. 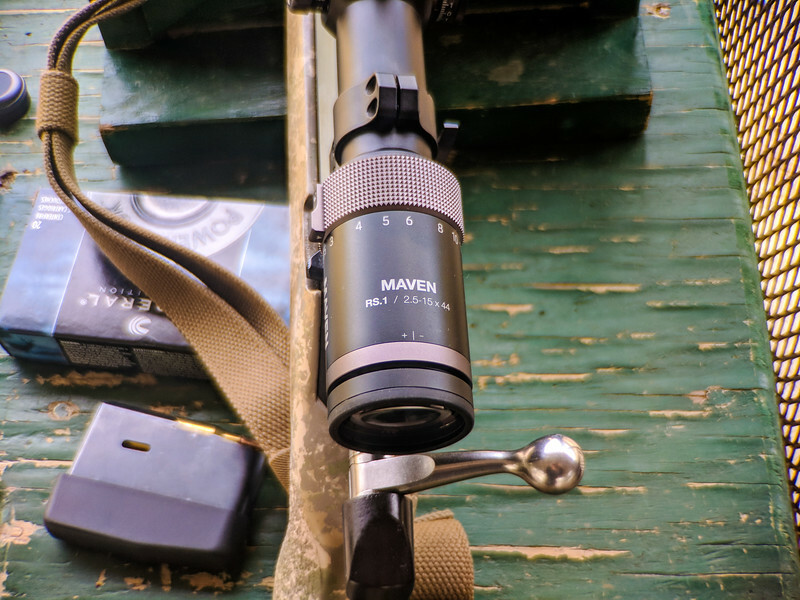 I didn’t mean to, but Maven announced a new FFP riflescopes in a configuration I liked, so I figured I should take a look. I have never looked at any Maven products before, but I have been following their progress. Best I can tell, they get binoculars from some very respectable manufacturers in Asia and, as appropriate, align and assemble some of them at their facility in Wyoming. I like that approach since you can have some very good quality stuff made in Japan, Phillipines or China, but being hands on with quality control at your own facility is a good idea. When I saw that they introduced a scope, I reached out and very politely asked them to loan me one. Here is Maven’s webpage describing the scope. The basic configuration of this scope really appeals to me. It is a 2.5-15×44 scope with FFP reticle, side-focus and covered turrets. The reticle is a Christmas tree-style design of their own. Unfortunately, the version they have now is in the wrong units, but I will keep trying to persuade them to see the light. This particular Tikka, despite its rather unimpressive appearance is freakishly accurate, so it is a very good platform to test a hunting scope. The range where I was shooting has plate out to 1000 yards, so after a rather uneventful sight in, I was mostly shooting steel. Once I figured out what the wind was doing down range, I proceeded to hit every plate I aimed at using the reticle for holdover. The only time I used the turrets was for sighting in, but during that short experiment, they adjusted as they are supposed to and had rather nice click feel. The clicks are 0.25 MOA each and a full turn of the turret covers 20 MOA. I only needed to use 7 MOA of adjustment to get to the setting I needed, so the turrets did not get much of a work out. I will rectify that as I continue messing with the scope. The eyepiece is of the fast-focus variety, so I was able to get adjusted quickly and painlessly. I will take some actual through the scope pictures as I go along so you get an idea of how it looks in real life. Designing FFP reticles so that they work across a broad magnification range can be tricky, but I think Maven did an overall very respectable job (I will naturally find something to nitpick on later). In particular, notice how the outer thick bars on the horizontal axis are not too far away from the center aiming point. That really helps reticle visibility at low magnifications. The reticle allows for 30MOA of holdover, which takes my 280Rem out to ~1000 yards at sea level. This time around I was shooting some factory ammo I still have left and with that ammo, 30MOA was about right at 950 yards with a 200 yard zero. For handloads, I am standardizing this caliber on Badlands Precision’s excellent 145gr Bulldozer buller. With that bullet, I think at 30MOA I will an extra 100 yards or so. I am unlikely to ever take a shot on game that far out, but it is good practice. That’s pretty much it for a first look. I like what I am seeing so far. As is often the case, I get my inspiration from various arguments on different forums where I am active. This video is to address some questions I get on the Hide. If something is not clear, please ask and I will do my best to explain it better. The question of magnification comes up a lot as does the question of tube size. 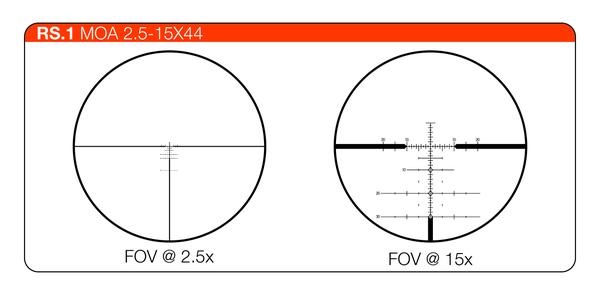 There are many considerations that go into determining the right tube size for a scope and reticle cell size is just one of them. General disclaimer: I am more of a shooter than a hunter, As I get older, hunting appeals to me ever more and I do hunt, just not as much as I would like. Perhaps, my reticle ideas on the subect will morph as they go along, but I do spend a lot of time peering through optics in varying lighting conditions. I have been fairly consistent with what I like with reticles. 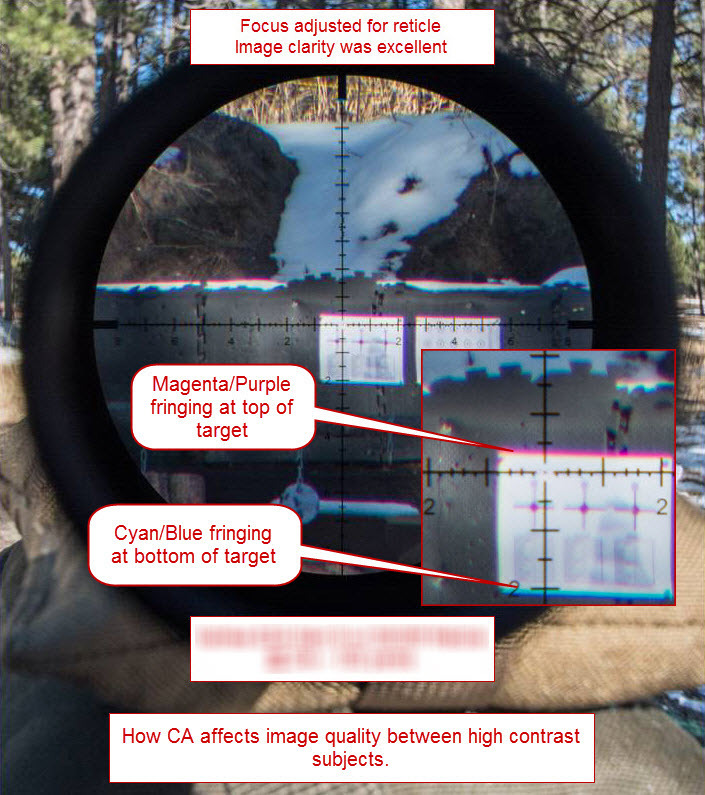 The key is to figure out what reticle features you need and what reticle features you don’t. Of the ones you do not need, you have to figure out which ones are unobtrusive and which ones get in the way. For example, I once complained to Vortex that I was not happy with the state of basic hunting reticles out there and drew on a back of a napkin, what I would like. They surprised me by taking my basic sketch and making a reticle out of it, albeit with some modifications (they made it MOA based and changed a couple of dimensions; I am a mrad guy). I’ll walk you through my thought process to explain why I like this design. First of all, when it comes to shooting at game, I am unlikely to take a long shot any time soon. I practice shooting from field positions a fair bit, but even with a good shooting platform, I am not sure I have the guts to take a 400 yard shot, but 300 is reasonable when conditions are decent. From less steady positions, this distance is lower, but I do a lot of offhand practice at 100 yards, so a 75 yard shot off hand unsupported is something I am adequately confident in even accounting for adrenaline and fatigue. That having been said, I like to practice with my hunting rifle(s) and I think it is a good idea to practice at considerably longer distances than you are willing to tackle in the field. With that in mind, whatever addition features the reticle has to range use, must be something that does not interfere with field use. Middle is German #4. 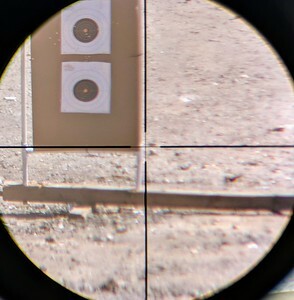 On the right is a duplex and on the left is their BDC reticle. You can clearly see how this BDC reticle started out as a wide duplex reticle that they added some additional features to. These are very stylized sketches. Even with simple duplex and G#4 designs there is a lot of variation in terms of line thicknesses and the length of the thin stadia in the center. 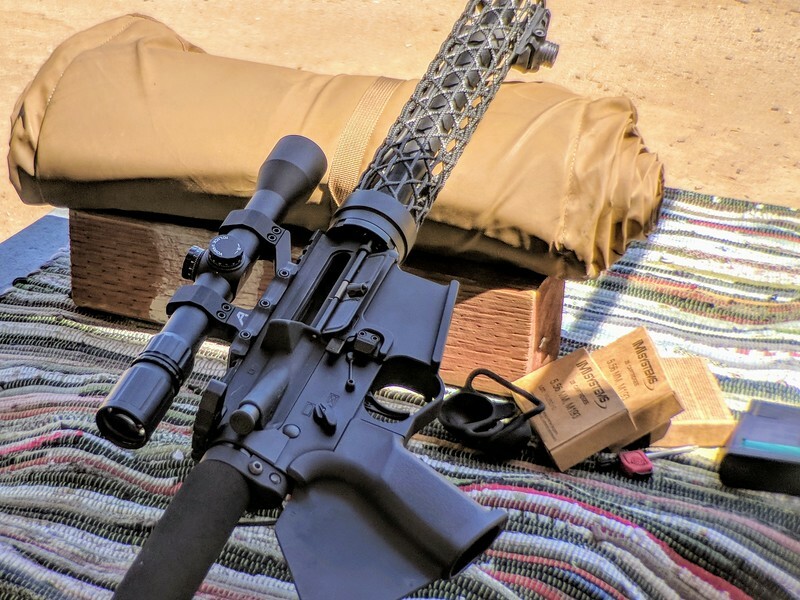 Now that most makers have been transitioning to glass etched reticle designs, there are comparatively few limitations in terms of feature sizes and spacings. Between the two classic designs, personally, I prefer the #4 since I like that largely unobstructed half of the image on the top and I am not seeing any difference in terms of visibility or speed between #4 and duplex given same line thicknesses and spacings. 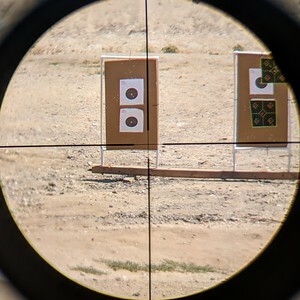 In general, the current trend on the market is for people to use reticles that are more complicated than they should and thinner than they should because so many only shoot in broad daylight at the range. In good light, when you are trying to shoot tiny groups off the bench, it all works great. 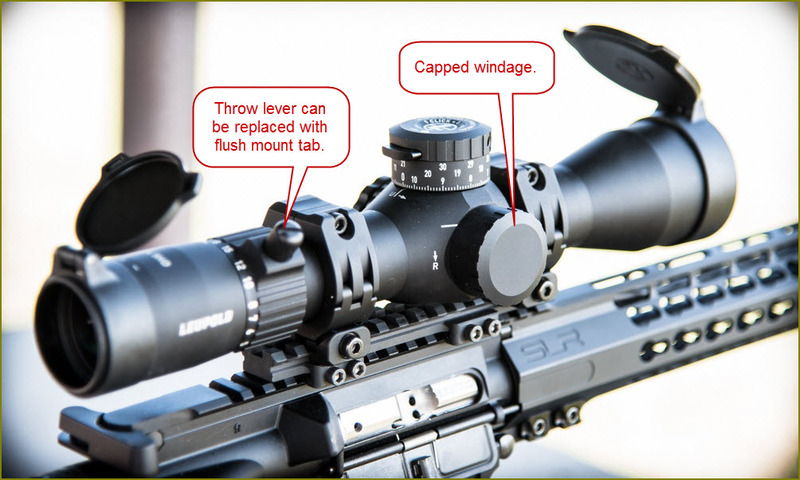 Once the light changes and your shooting position gets a little wobbly that ultra thin reticle may not be optimal. With all of that in mind, when I started thinking about a hunting reticle, I started out with the #4. Since I do spend a lot of time on the range, I wanted some means to shoot out to 600 yards or so without messing with the turrets and I wanted the aiming point to be reasonably fine. However, overall, the reticle had to be easily visible in any lighting conditions. I shoot a lot of different calibers, but my primary hunting rifle is a Tikka M695 chambered for 280Rem. For when I do not anticipate longish shots, I also have an AR chambered for 458 SOCOM (the AR happens to have a Vortex Razor HD LH 1.5-8×32 on it with the G4 BDC reticle). I also have a hunting weight rifles chambered for 308Win, 7.62x54R and 6.5Grendel which are all similar in terms of external ballistics. 280Rem is the flattest shooting of this bunch until I get a 300WSM barrel for my Fix rifle. My go to bullet for the 280Rem is a 145 gr Bulldozer design by Badlands Precision which gives me a maximum 5 inch MPBR of a bit over 350 yards. Since I usually sight in my hunting rifles right around 200 yards, my practical MPBR is right around 300 yards which works just fine for me. 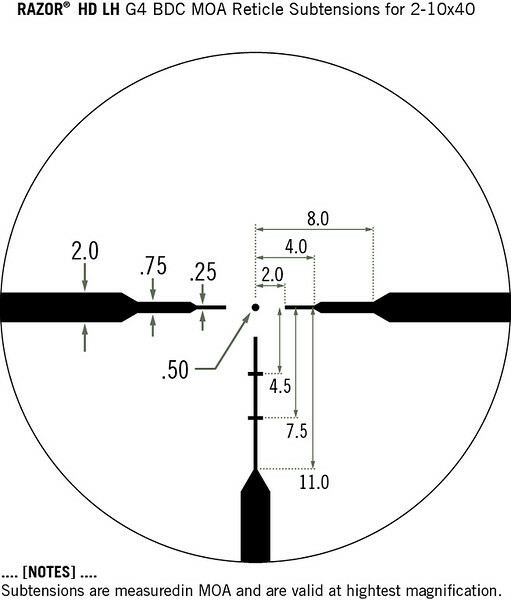 To reach to 600 yards, I need almost exactly 3 mrad with 200 yard zero, so my original vision for this reticle was to simply have two hash marks 1 mrad and 2 mrad below the primary aiming point and have the thick bar terminate 3 mrad below the primary aiming point. The thin bar would terminate half mrad below the primary aiming point, but I did not want a horizontal hashmark there to keep the eye naturally drawn to the aiming dot. That would give me some rudimentary range estimation at top magnification and simple to remember holdovers that can accomodate multiple calibers adequately well. Since most scopes of this type are FFP, my basic assumption is that all the shooting beyond MPBR is done at top magnification. Now within 300 yards, I like to be able to hold for wind or for a slowly moving target, for which useful holds are 0.5 mrad, 1 mrad and 2 mrad. I understand why they did it in MOA and the dimensions are consistent and make sense. I think using varying line thicknesses on the horizontal axis is a very nice touch and it naturally draw the eye to the primary aiming dot. I wish that dot was a touch bigger or illuminated, but as is, the reticle works quite well and I have used it in all sorts of lighting conditions. Now, when drawing up a reticle, it is very hard to resist the temptation to start adding features: extra wind holds, ever more granular hashmarks, etc. For some shooting disciplines those are important, but for typical hunting applications, I think they an unnecessary distraction. With this design, all I wanted to do was to add a couple of basic hold points to compensate for wind and drop. 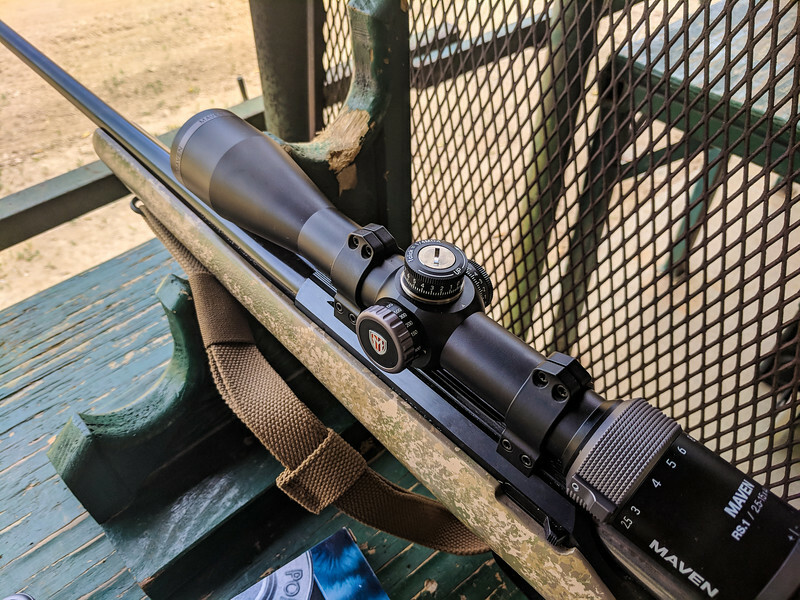 However, for hunting applications, I have very limited interest in compensating for wind or lead at distances beyond MPBR and the primary aiming point must be the one your eye is drawn to when you have to shoot fast. I am not a long range hunter (yet). In the interest of full disclosure, I have talked to a bunch of people over the years about what I want out of a reticle of this type and I do not know if some other similar designs out there were influenced by that. A few similar designs came out in the years since I started getting vocal about that. However, the guys at Vortex were honest enough to admit that they were, so I can openly talk about that. In all fairness, all of this is rather evolutionary in nature and I am sure other people have been thinking through similar things at the same time. This was inspired by a few more discussions on SnipersHide. Let me know if any of this makes sense or if you want me to go into more details on anything. And I am still trying to get a grip on the whole video/audio thing. The first video is from Z-cam E1 camera with an external X-Y microphone. The second video is taken with my cellphone and with audio coming from a lapel microphone. Let me know which sounds better to you. Next time I will try the lapel microphone with the Z-Cam E1, I suppose. 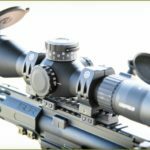 What would a perfect precision scope look like? I am somewhat active on several forums, one of them being SnipersHide. 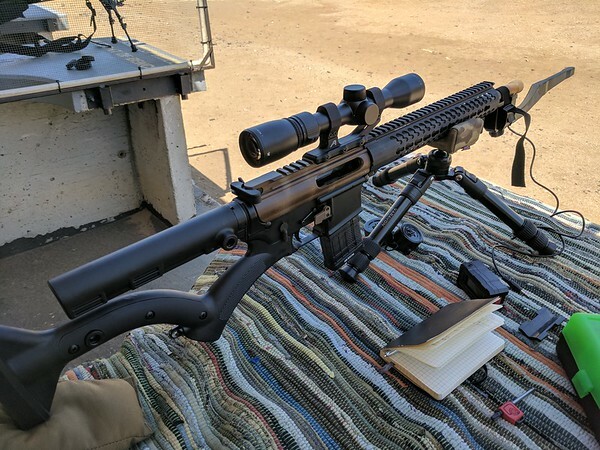 The gentleman who runs it is a very accomplished military trained long range/precision shooter, so a big part of the forum leans toward the precision side of the shooting world. While my personal interests span most of the shooting disciplines, I really lean toward the precision world, so that suits me really well. Almost every day, I see incessant arguments about which scope is better than others and why. One thing that I do not see differentiated enough is whether the argument is about fundamental quality vs personal preferences and design decisions. For example, holding zero, returning to zero, adjustment accuracy and adjustment consistency are all fundamental qualities. Click feel is somewhere in between since for people who use the reticle exclusively it is not terribly important. Also, it is easier to get good click feel with turrets that have fewer clicks per revolution, so this one spans a little bit of everything: fundamental quality, design compromise and personal preference. Reticle selection is almost entirely personal preference with a little bit of a design compromise mixed in. Magnification range is both a personal preference and a design compromise. Durability is a fundamental quality, but it is very difficult to measure without statistical data. For example, you will hear about a lot more failures from companies that sell the most scopes. 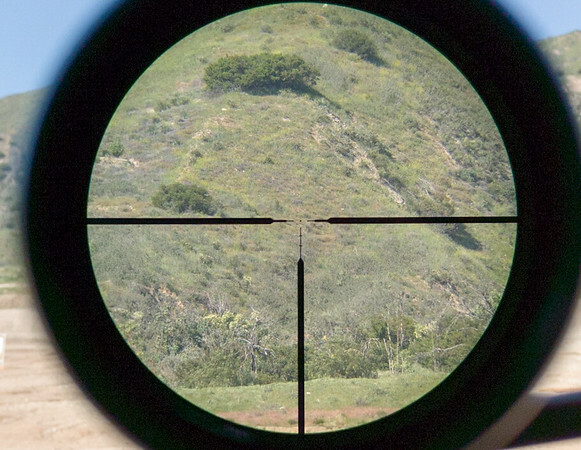 Let’s say a company sells 100 scopes per year with a 1% failure rate. That means there is one broken scope out there from this company and unless that one scope is mentioned on the forums we never hear about it. 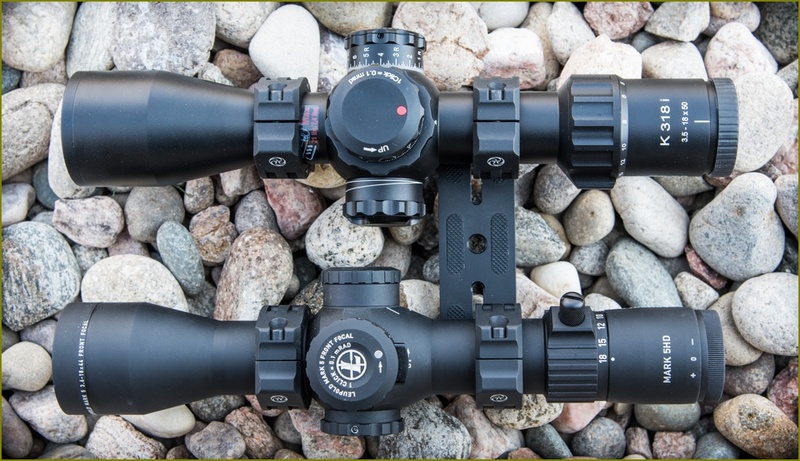 With another company that sold 1000 scopes in the same period of time, with the same failure rate, there are ten broken scopes out there, so we are almost bound to run into someone complaining about it on the web. The failure rate is the same, but a larger brand will take a bigger hit to their reputation. On the other hand, a smaller brand who only sells a 100 scope per year suffers from a small sample size. Let’s say they have no failures for four years and five failures in one year. Overall failure rate is still 1%, but their reputation is taking a serious hit from that one bad year. Ultimately, I watch this kind of stuff carefully, but do not draw too many conclusions from it, partially because people who are pissed about an expensive scope taking a dive are usually a lot more vocal than satisfied customers. We live in a time where precision shooters have an impressive array of options from quality manufacturers. It used to be just one or two makers serving this market segment, but now there is a bunch. On top of that, there is an increasing number of quality designs popping up at half the price of the alpha stuff. I will ignore price considerations for now and give some thought to what would be an ideal precision riflescope for me based on the features I like from different makers out there. Keep in mind that I do not do ELR a whole lot, so extremely large adjustment range or very high magnification are not critical for me, especially since I can always get a Tacom prism. There is no one scope right now that does exactly what I want, but Tangent Theta gets close on the strength of excellent optomechanical quality and the best turrets I have seen to date in terms of feel (there are several options with excellent reputability and return to zero, Tangent Theta being among them). I use Tangent Theta TT315M as my general purpose precision scope and it is just superb. However, since we are talking about a wishlist here, for a dedicated precision gun, I could use a little more magnification. I do not need a whole lot more but I prefer 20x or more for this role. The TT315M has 6 mrad per turn turrets with spectacular feel. However, the larger TT315P and TT525P have near perfect turrets with even better feel and 15 mrad per turn; however, these scopes are significantly heavier and the turrets are taller than I like. Still, if I were to choose one precision scope from what is on the market right now, TT525P would be it. As far as form factor goes, the turrets on Vortex AMG 6-24×50 are just about perfect. They are a bit more compact, with 10 mrad per turn, zero stop and locking feature. The feel is not Tangent Theta though. The weight of the AMG is about right (near same as TT315M), but it is on the long side at 15 inches (TT315M is around 13.5″). 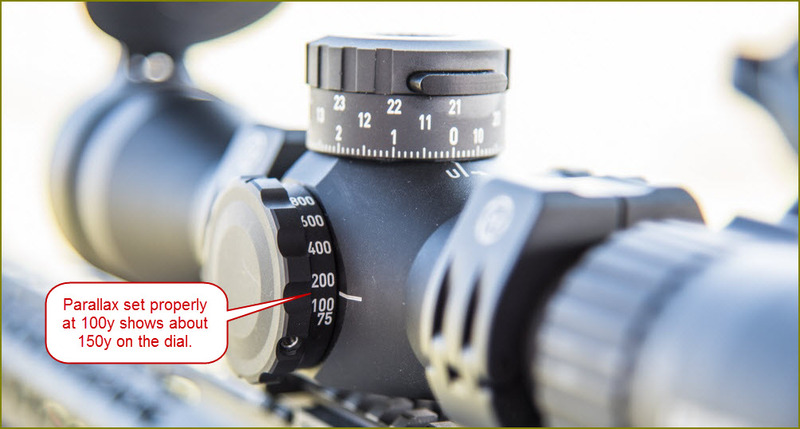 Overall length is not that critical, unless you plan to use a clip-on in front of the scope. Still, given a choice, I would prefer to keep it in the 12 to 13 inch range if possible (or shorter). Of the designs on the market now, only S&B 5-20×50 Ultra Short is there, but the upcoming EOTech Vudu 5-25×50 and Kahles K318i are in that same size range. I think EOTech turrets are too tall for a scope of this size, but Kahles K318i turrets are a good compromise. In terms of factor factor, low and wide turrets on S&B Ultra Short, are good size, but I do not like the feel as much. 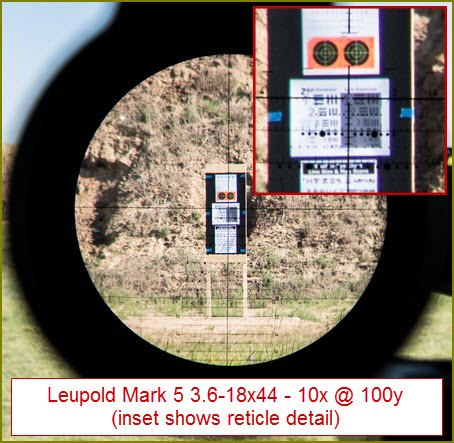 ZCO 4-20×50 is also promising, ditto for Leupold Mark 5HD 3.6-18×44. As far as control configuration goes, I really like what Kahles is doing with the center parallax. I shoot both right handed and left handed and that parallax location is very convenient. Other ambidextrous parallax options are on the objective bell and that is more of a reach than I like. As far as magnification range goes, low mags are not that critical for precision use, but I shoot quite a bit off hand and from poorly supported positions, so I like to have 4x or so on the low end. Reticles are a really personal preference. There is not single reticle design out there that is perfect for me, but most Christmas tree style reticles work well enough. I use both reticle and turrets, so Horus designs are not my thing. I will do a separate piece on which reticle would be perfect for my needs. In the meantime, I am quite comfortable with Gen 2 XR, Vortex EBR-2C and a few others. To summarize all of this meandering, my ultimate precision scope would be a 4-24×50 with Tangent Theta’s optomechanical quality and turret feel, Vortex AMG weight, S&B Ultra Short overall length and turret size and Kahles’ general control configuration. Not to mention that it would have to have a reticle that does not yet exist and would probably be something that only I would like.